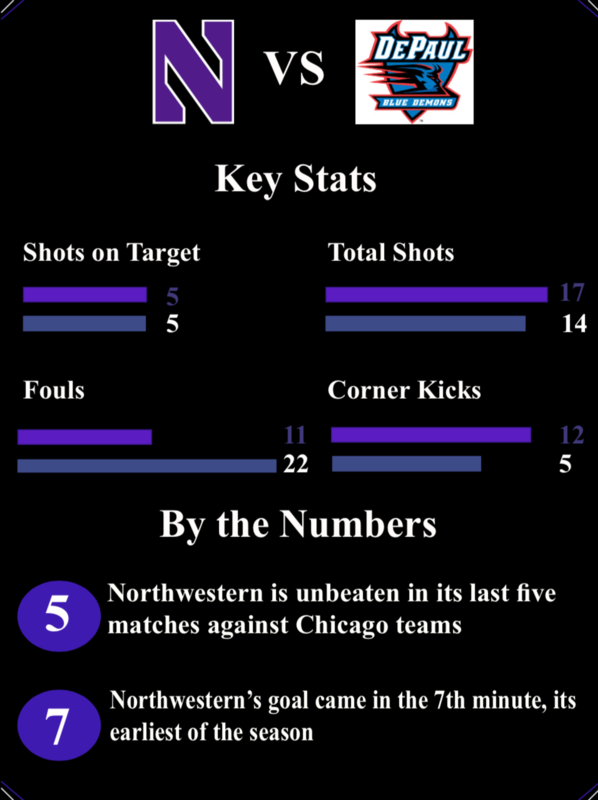 Northwestern University simultaneously continued both a winning and losing streak after a 1-1 draw against Chicago opponent DePaul University last Tuesday. The Wildcats are now winless – with a draw or a loss – in their last eight games (including Friday’s loss to Rutgers) against all opponents this season and haven’t picked up a win in over a month. On the flip side, the Wildcats are unbeaten – either a win or a draw – in the last five games against Chicago opponents over the past year. Head Coach Tim Lenahan said the budding rivalry between the Wildcats and DePaul’s Blue Demons absolutely brings out the best of both sides. “It’s always a fight,” Lenahan said. “The records go out the window and whether it’s UIC, Loyola or DePaul, it’s always a battle.”The Wildcats got off to a fast start against its cross-town rivals with the first goal since September 26. Sophomore Tommy Katsiyiannis played a cross to defender Garrett Opperman, who flicked a header home to give Northwestern a 1-0 lead after seven minutes of play. Teams shake hands after a last-minute chance for Northwestern in double OT. The result means the Wildcats are now winless in its last eight matches following a loss to Rutgers on Friday, ((Nick Hennion/Medill). But DePaul rebounded quickly. Freshman forward Jack Richards picked up his first career goal in the 31st minute to equalize for the Blue Demons. Midfielder Matthew Brickman fired a cross to Richards, who calmly directed the ball into the top corner. Lenahan said his side was lucky to get out of the first half at 1-1 after allowing 10 total shots and five corners in the first half. But Lenahan conceded that while the Wildcats were lucky in that respect, his side was unlucky elsewhere. From that point forward, the rest of the game was all Northwestern. Katsiyiannis, who picked up an assist on the only goal, said the halftime message was simple. Sophomore goalkeeper Miha Miskovic continued his impressive form for Northwestern with four saves on the night, including one crucial save during overtime to keep the Wildcats in the game. 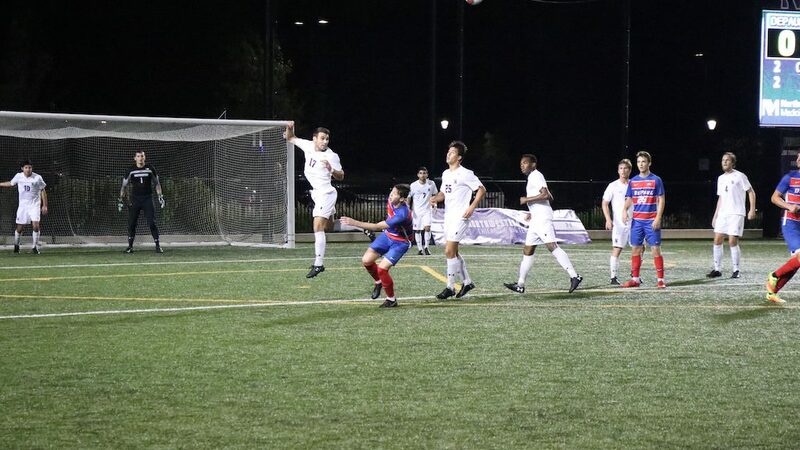 Garrett Opperman, the lone goal scorer for Northwestern, said Miskovic is absolutely a difference maker and came up big at multiple junctures during the match. After a loss to Rutgers University, Northwestern will look to resume its unbeaten streak against Chicago opponents as they face the University of Illinois in Chicago Tuesday night.